When you call Dwell Bay View home, you’ll find yourself in a fresh, modern community enhanced with a variety of unique apartment features. Our community offers seventeen different studio, one and two bedroom floor plans each designed with comfort in mind. Our attention to detail and our commitment to quality is discovered the moment you arrive home to your new modern loft style apartment. You will love the vast selection of apartment features available at Dwell Bay View: quartz countertops, in home laundry, expansive walk-in closets, massive windows, and designer kitchens are just a few you will love to come home to. Relax with family and friends on our roof top deck overlooking your new neighborhood, or take advantage of the on premise fitness center, and enjoy the on-site bakery! 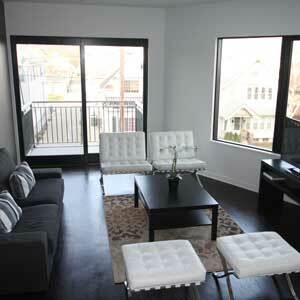 STUDIO, ONE, AND TWO BEDROOM LOFTS AVAILABLE! While there are many apartments for rent in Bay view and Milwaukee, Dwell Bay View’s prime location, premium apartment features and exceptional team will help make your decision easy! If you would like to learn more about luxury apartment living in Bay View we invite you to come and share the experience of Dwell and take a personalized grand tour.